Herndon, VA – May 10, 2009 – mrsimcard (www.mrsimcard.com) announces the launch of its dual number Global Travelsim with US and Estonian numbers all in one. The sim allows the user to be contacted on either number the +1 US number and the +372 Estonian number. Text messages may be sent to either number. The availability of this sim card means that a customer who wants a US and an international number need only the one phone. This dual numbered sim card works in 160+ countries and offers free incoming calls in 66 countries and counting. Customers can provide friends and family with one or both numbers and remain in touch while on travel all over the world. Customers need only dial a +1 number to reach loved ones wherever they might be at a cost far lower than that offered by major carrier international roaming service. Business users can travel the world and stay in touch on one number without paying a bundle for the convenience. Corporate communications departments can add manage multiple lines via a provided online interface which offers unlimited flexibility in managing the sim card. Corporate users can control how much airtime is placed to the sim card and the availability of added features such as GPRS. The service provides exceptional savings when compared with US carrier international roaming. Why pay $2 to $5 per minute for international calls when you could pay $0.39 cents instead. Its not the smart way to travel in 2009. The Global Travelsim can be purchased online at www.mrsimcard.com for $29.99 which includes $10 in calling credit. Since its launch in 2006, OOMobile | mrsimcard has become one of the fastest-growing prepaid sim only organizations in North America. With a specific focus on driving value to the consumer and lowering the cost of prepaid wireless, OOMobile | mrsimcard has enjoyed the support of customers and dealers alike. MRSIMCARD is renowned for competitive rates, unbeatable customer care and the best GSM carrier coverage. OOMobile | mrsimcard offers a wide variety of products and services. Customers always get a deal at www.mrsimcard.com. MRSIMCARD.COM begins sale of the Award Winning “Worldsim” Global Roaming Sim Card. HERNDON, VA (February 13, 2009) – OOMOBILE, Inc. | MRSIMCARD has commenced the sale of the award winning Worldsim Global Roaming TravelSim. 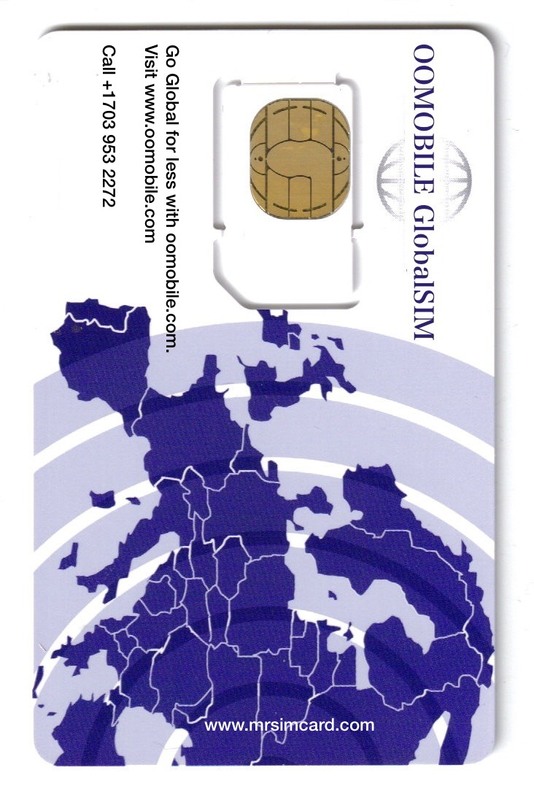 This travelsim comes with a (UK +44) number and features free incoming calls in 55 countries service in 150 countries. The Worldsim will afford user a potential saving of up to 95% on international roaming costs. International travel is ever on the increase and roaming costs are source of much distress for corporate travel managers. Worldsim is here to save the day. Worldsim offers free incoming calls in the following countries: Austria, Australia, Azerbaijan, Bangladesh, Bahrain, Bosnia/Herzegovina, Brazil, Belgium, Bulgaria, Croatia, Cyprus, Czech Republic, Denmark, Egypt, Estonia, Finland, France, Germany, Gibraltar, Greece, Hungary, Iceland, Ireland, Israel, Italy, Japan, Latvia, Liechtenstein, Lithuania, Luxembourg, Monaco, Montserrat , Montenegro, Netherlands, Nigeria, Norway, Oman, Poland, Portugal, Romania, Slovakia, Slovenia Republic, San Marino, Saudi Arabia, Singapore, South Africa, Switzerland, Spain, Sweden, Tanzania, Tunisia, Turkey, United Arab Emirates, United Kingdom, Vatican City, Yugoslavia/Serbia. For a limited time the Worldsim Global Roaming TravelSim is being offered at an initial launch cost of 39.99 USD.